As long as you were braced for bad news - and who in Devon and Cornwall wasn't? - you will probably have found that some bits of the budget came as a pleasant surprise. From a South West viewpoint, there were measures which were almost tailor-made to appease this largely rural region of ours. Owners of furnished holiday cottages will hang on to their favourable tax status, whereas the last government would have swept that away. 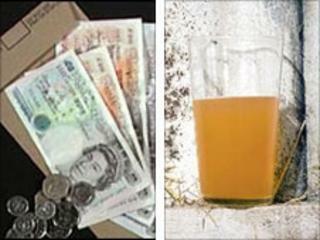 And the extra cider tax is being scrapped. More radically, the chancellor revealed he is considering a rebate on fuel duty aimed specifically at remote rural areas. After some recent heartless noises from Business Secretary Vince Cable, who apparently believes the South West just does not need the same sort of economic development help as the Midlands or the North, this was a budget that showed ministers have actually heard some of the region's pleas. The broader brush strokes were the less favourable ones as far as this region is concerned. However, the one pressing regional issue that the chancellor failed to tackle - the affordability of housing. George Osborne waved quite a big stick on housing benefit, bringing in new upper limits, but as the British Property Federation pointed out, the danger is that claimants in more expensive parts could now be sidelined and forced out of homes they have lived in for years. And if changes to capital gains tax further hit the buy-to-let sector, that could cut our supply of rented homes. More generally, the rise in VAT to 20% will probably hit low-wage areas like Devon and Cornwall disproportionately hard, while measures like the two-year public pay freeze will further hit an economy that relies on the public sector as a bulwark against our entrenched problem of low pay. All in all, from a South West standpoint, this budget was not quite as blunt an instrument as had been trailed. Maybe they had been deliberately softening us up. Anyway, huge questions remain unanswered. Some of Britain's key capital projects are going to survive the cutbacks - but which ones? What will happen now with the Kingskerswell bypass or the Junction 29 improvements on the M5? We must wait - and watch - for the Comprehensive Spending Review. It is probably too early to say we have got off lightly.